Aikido is a martial art founded by Morihei Ueshiba, that focuses on harmonizing with your opponent to bring peaceful resolutions to situations involving conflict. The Japanese martial art of Aikido, The Way of Harmony, is a comprehensive system of throwing, joint-locking, striking and pinning techniques, coupled with training in traditional Japanese weapons such as the sword, staff and knife. Founded by » Morihei Ueshiba (1883 -1969) early in the twentieth century following his own extensive study of various armed and unarmed martial systems. To those unfamiliar with this non-aggressive Martial Art, Aikido teaches the principle of blending; the softest things can overcome the hardest. The Aikido practitioner would not try to stop a punch by blocking, instead they would blend with the attackers energy, diverting the force and lead them to the ground. By its very nature, Aikido is suitable for men, women and children of all ages as it does not rely on physical strength for its effectiveness. Through regular training students learn to harness their inner strength. Sue grew and developed the club, promoting and teaching many students before emigrating to Canada in 2011. 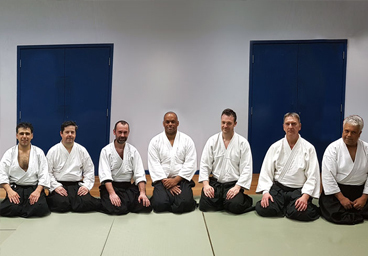 The club is now run by Fernando Raposo, instructors being Dr. Ali Khan 3rd Dan and Fernando 1st Dan and is based at Kingston University Fitness Centre, Penrhyn Road, Kingston Upon Thames, London, England. KT1 2EE. 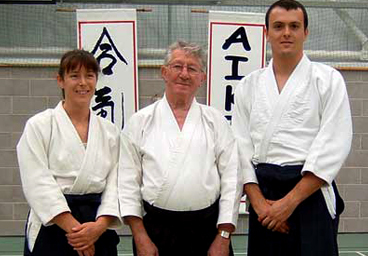 Kingston Aikido club is affiliated to the Institute Of Aikido (IOA) which was founded by » sensei Haydn Foster in 1973. Ali Khan: People come to Aikido for many reasons: self-defence, control of one's body movement, learn to remain calm in stressful situations, keep fit and flexible. Aikido can satisfy all of these needs and, no matter what benefit a student initially seeks, he or she will find other goals as they continue to practice. Fernando Raposo: Centralisation, correct breathing and circular movements are key to applying Aikido technique, but more important in harmonising with your training partner with free and easy movement, going with the flow. 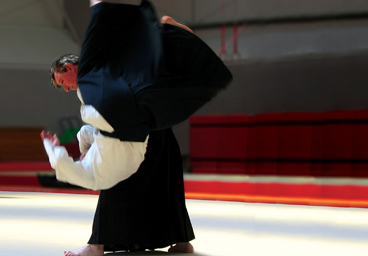 The use of one's physical strength undermines this key element of aikido and slows down learning.